In this age of MMORPGs, it is easy to forget that single-player role-playing games like Fable, Baldur’s Gate and Fallout were the titles which actually got us interested in the genre in the first place. There’s no doubt that a lot of people still love playing solo, as games like Nier: Automata, Horizon: Zero Dawn and Nioh are excellent modern examples of the genre that received high praise last year. However, if you have played through most of the recent titles and need something to get you by before the big titles start hitting shelves later in the year, here are three modern RPGs that are slightly old, but by no means outdated even today. There is nothing out there that can match the experience of watching Geralt ride Roach through the farmlands of White Orchard on a Moonlit night, to the beautiful yet haunting soundtrack or the trill of preparing to fight a Leshen in the middle of the woods by preparing adequate concoctions and hoping to hell that the absolutely adrenaline-pumping in-fight music is enough to get you through that extremely hard battle! The Witcher 3 and all its expansions are a huge, beautiful, haunting and fun experience that entertains and amazes in every possible way. If you have not played it yet, you are likely missing out on arguably the greatest single-player RPG ever made. The original Dragon Age has now become a classic, but it wasn’t until Inquisition that the series saw some actual revival. Greatly praised by critics all over, Inquisition’s turn-based combat is spot on and the game’s plot is as complicated as you would expect from a game like this. Characters are interwoven into the story nicely and dialogue choices have small to profound effects, depending on the situation in question. 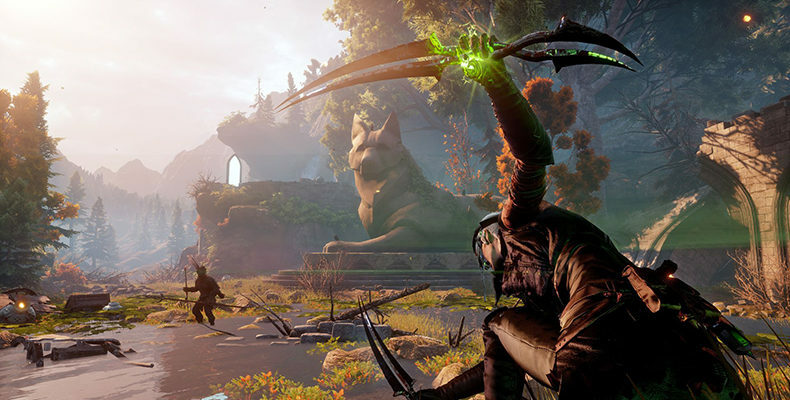 Check out gameguideworld.net for a complete guide to exploring the dangerous, beautiful and vast world of Thedas and finding those pesky High-Dragons. After including two medieval/fantasy RPGs, it’s time to lighten things up a bit by naming South Park: The Stick of Truth as the final entrant on our list. Just as you would expect, the story starts with bad costumes in a make-believe role-playing game and soon gets escalated hilariously to conspiracies that involve aliens, Taco Bell and, of course, the US government! It’s almost like you are playing a huge episode of the TV show rather than playing a video game, and we mean that in a good way. South Park: The Stick of Truth is actually a must-play for fans of the show, while it provides a light dose of RPG elements and shocking humor for just about any adult gamer out there looking to have some casual role play action and fun at the same time. This list will easily take away 200+ hours of your time and by the time you are finished with these three, we are pretty sure that the latest single-player RPGs of 2018 will be all ready to meet your gaming demands.